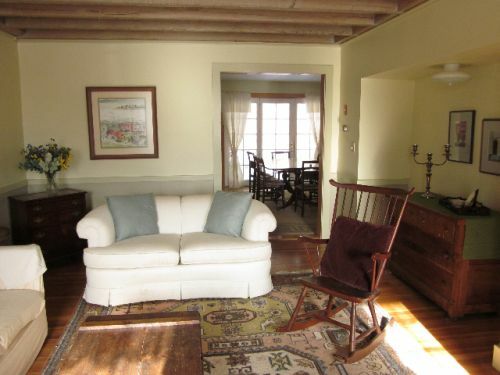 To the left of the kitchen is a more formal but relaxing living room. It also has comfortable couches and armchairs to read in. Some of our guests use this room to set up an easel and paint in. The dining room is easily accessed through a double doorway, as is the full bathroom.